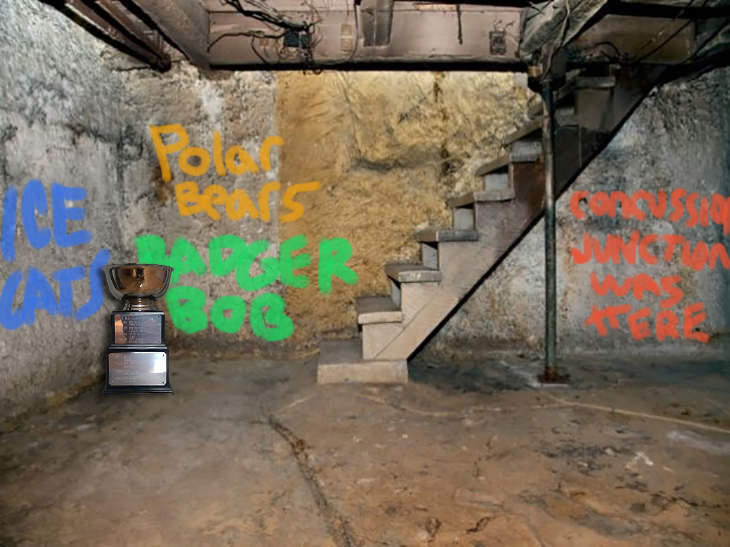 For the first time in recent memory the FHL Cup is being stored in the basement, the defending league champion dispatched to the cellar on Wednesday, GM Chester and his Badger Bob team now seated in 12th place overall, a distant 73.3 points from the place they used to call home. If you’re a fan of Badger Bob and you want to look on the bright side, well, err, there is no bright side (unless you count “at least you have your health”) - the 2017-18 FHL Cup champion now lodged in last place overall, the team also in rear of their H2H opponent, trailing the SC Cobras by 4.8 points. Apparently the Vegas Vipers have some pent-up rage and frustration - rage and frustration they’re unleashing on their Week 9 opponent - GM Miller’s squad moving into 2nd place on the strength of an 11.8 point Wednesday, the Vipers now 22.4 points better than GM Buker’s under siege Army. The Bluliners were battered prior to Wednesday. After Wednesday they’re also bruised, the team taking another one on the chin from Concussion Junction, GM Brendan’s upset-minded squad now leading this mismatch by 17.3. The Polar Bears are falling back into bad habits - those bad habits being “not scoring enough points” - the team only netting 2.0 on Wednesday. Fortunately for GM Elya’s win chances, the Ice Hogs are also stuck in the mud, this low-scoring affair still up for grabs. Rushed to the hospital with heart palpitations after learning his team had earned goaltending points, GM Morgan is resting comfortably this morning, the Boulder Flyers now leading the Misconducts by 9.3 with four days remaining in the week. Nathan MacKinnon (1g, 3a) is making it difficult for the Wild Ducks to win this match, the Ice Cats unstoppable forward netting 8.0 points on Wednesday, the Cats leaping in front of the confounded Ducks, GM Cutshall’s squad up by 1.4.